For 2013, the Krewe of Barkus will march in the Eureka Gras Parade and you are invited. Just let us know you’re coming, dress up, and then show up with your pup on its leash! This year’s doggie theme is “Going Gangnam, Barkus Style.” So start getting your costumes ready! Bright tuxedo jackets, bow ties and dark sunglasses will help us create Psy’s iconic Gangnam look… your pooch can wear a tuxedo shirt or bright shirt with black trim and of course a bow tie and shades go well! Mardi Gras-themed/colored beads and adornments are most welcome. The Mardi Gras parade is Saturday, Feb 9th, and we will start our march from the Post Office @ 2pm. Bring your dog and join in the fun! Find Mardi Gras lodging packages and deals. 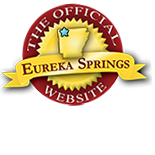 This entry was posted on January 8, 2013 by estcblog in Festivals, Fun Downtown, Things to Do and tagged Arkansas, downtown, Eureka Springs, historic downtown, Mardi Gras.